Naija networks tips Airtel Launched New Data Plan 4.5GB For Just #2,000. Airtel Launched New Data Plan 4.5GB For Just #2,000. The battle line has been drawn, and it is the survival of the fittest. 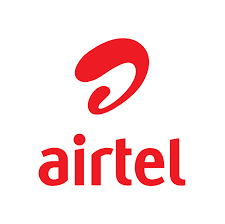 Airtel has proven to be one of the fastest networks in Nigeria even though rumors have it that they are working on implementing 4G LTE in Nigeria. Just updating my information bank as usual when I stumbled on this information and I know surfers like you reading this will love it. Airtel NG seems to have readjusted their data plan 4.5GB for N2, 000 which looks tempting. But if you have been following these data trends, especially from Airtel, you’ll notice that 2GB plan used to go for N2, 000; but now it gives you whooping 4.5GB for N2, 000.